Why is a $100 shirt marked down to $60 worth more than the same shirt originally priced at $60? How does using credit cards influence how much money we spend? Does pre-paying for a holiday make it seem better value? 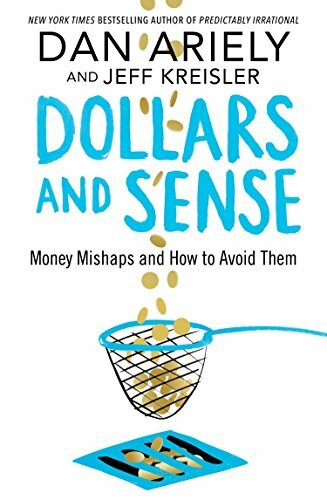 World-renowned economist and New York Times bestselling author Dan Ariely and financial writer and comedian Jeff Kreisler answer these questions and more, exposing our hidden motivations driving our (often misguided and expensive) decisions around money. Fascinating, engaging, funny and essential, Dollars and Sense is a sound investment, providing the tools you need to improve your financial choices, spend smarter and save better. Dan Ariely is the James B. Duke Professor of Psychology and Behavioral Economics at Duke University, and is the founder of the Center for Advanced Hindsight. Jeff Kreisler is an award-winning satirist and writer who performs stand-up and talks business all over the world.